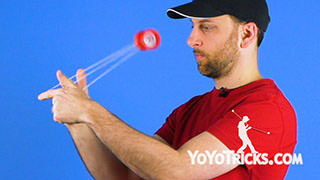 Learn about the concepts of flow and stacking as applied to the fundamental elements of braintwister combos. 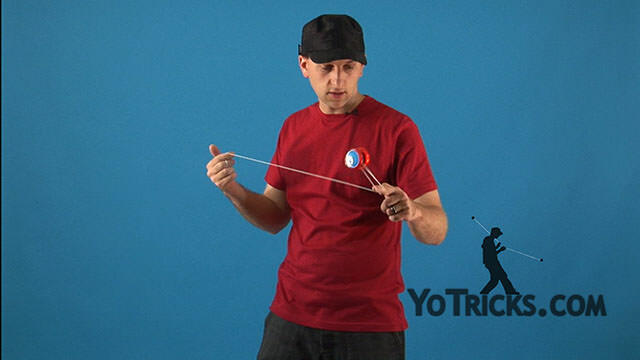 Braintwister Combo Series Volume 1: Fundamental Elements Yoyo TrickThis is the first video in the Braintwister Combo series. Throughout these video we are going to be showing you lots of different elements done within the braintwister mount, so you can combine them to build combos of your own. For this video, we are going to start you off easy. These will all be tricks that we have taught in previous videos. 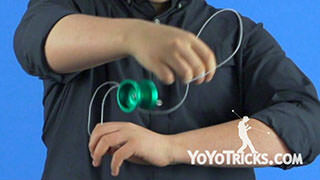 So in this video, we are going to be showing you how to combine them to build your own combos. 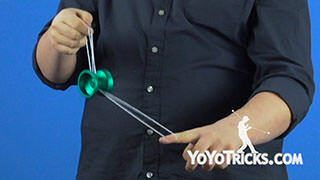 The elements that we are going to be using are the pinwheel, the front flip, a reverse flip, and double on. Now before you start, there is going to be a few modifications that you will need to make. 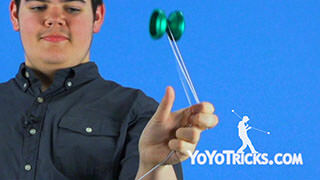 We show you the pinwheel on the side mount like this. 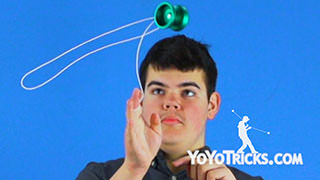 But for the braintwister pinwheel, what you are going to need to do is pinch and swing it in the opposite direction. 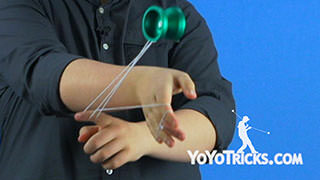 It also help to grab the string with the rest of your fingers to keep the yoyo from hitting the string. 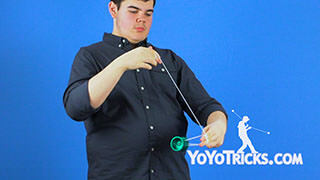 As you may have noticed, sometimes while doing these tricks, I will have more than one finger in the mount. 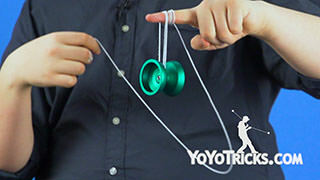 This makes it easier for the yoyo to move up and down the string and decreases the chances of the yoyo snagging. Now while you are learning each of these elements, feel free to try it out with one, two, or even three fingers. Find what works best for you. Once you are ready to build your braintwister combo, we can start by putting the four elements together. Let us try that. So you are going to do double on, dismount, do a forward flip, do a reverse flip, and then dismount and pinwheel. Now you may have noticed that even though we did put the four elements together, it did not look too smooth. That is because not every element works together too well. While building your braintwister combo, you want to aim to achieve flow. Flow is where all the elements in your braintwister combo blend together seamlessly. Now, we can try to rearrange the elements in this combo to where it has flow. Let us try it. So we are going to do a pinwheel, mount, do a forward flip, and we are going to use the momentum from that flip to go double on. Dismount, and use that momentum to do a reverse flip. Now, once your braintwister combo has flow, you can practice speeding it up to make it look great. You can take it a step further by stacking elements. Certain elements can be done in such a way that you can perform them within each other. This is most easily seen in double on. While mounted, you will notice that you can do the forward flip and the reverse flip. While certain elements may not seem stackable, with a bit of creative thinking, you will discover new possibilities that you did not see at first. Let us try this. With the forward flip, halfway through, you can do the reverse flip. 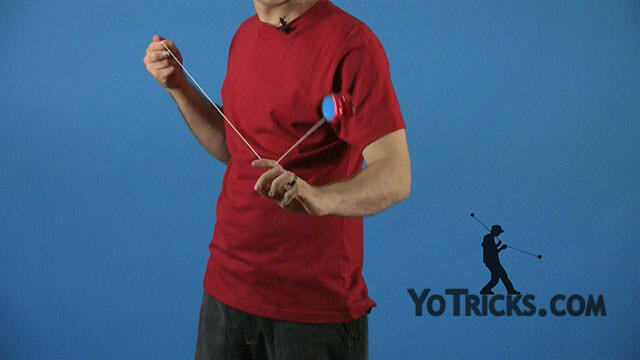 You can also take this a step further by only doing half of the reverse flip, which will end you in a double on. You can also do this again to end up in a triple on. To add some extra flare to the dismount, you can do a stacked reverse flip. Bring the yoyo back to your hand. So learn these elements, build a combo with good flow, start stacking elements, and you are well on your way to building the ultimate braintwister combo.